Here’s some really exciting SDCC news! 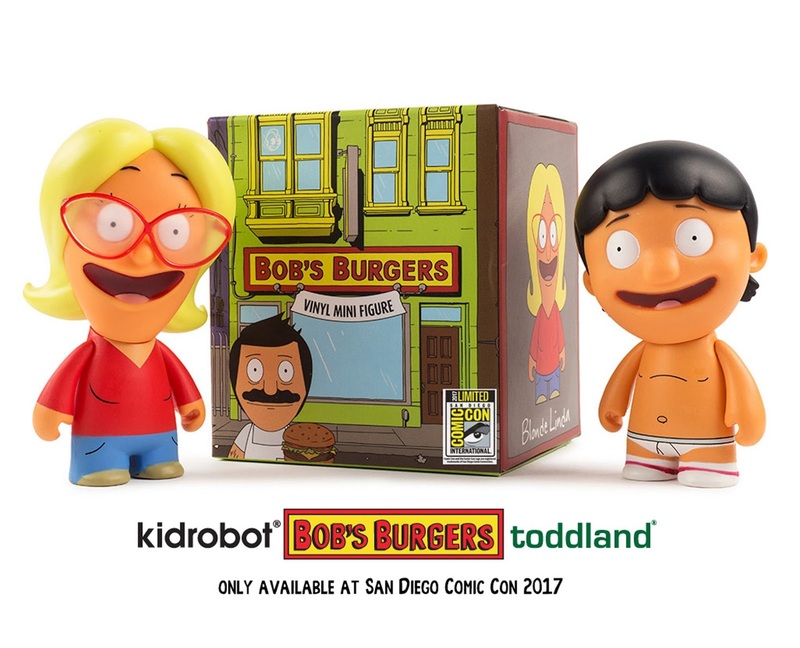 Our friends at toddland are teaming up with Kidrobot to release two San Diego Comic-Con 2017 Exclusive Bob’s Burgers 3” vinyl figures – Blonde Linda and Underpants Gene! Sold blind box style, these two Bob’s Burgers mini figures will each have ratios of 50/50. Fans can pre-order this officially licensed release now at toddland’s online store for just $15 with pick up at their SDCC booth #4429. Fans hoping to complete Kidrobot’s Bob’s Burgers 3” Blind Box Series will definitely need to figure out a way to get their hands on these killer exclusives!